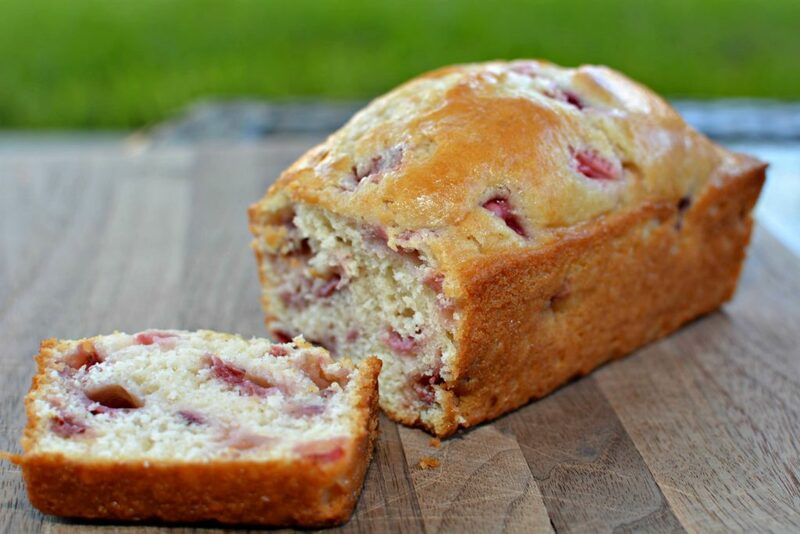 This tasty Strawberry Bread is a great way to use up those fresh summer strawberries! 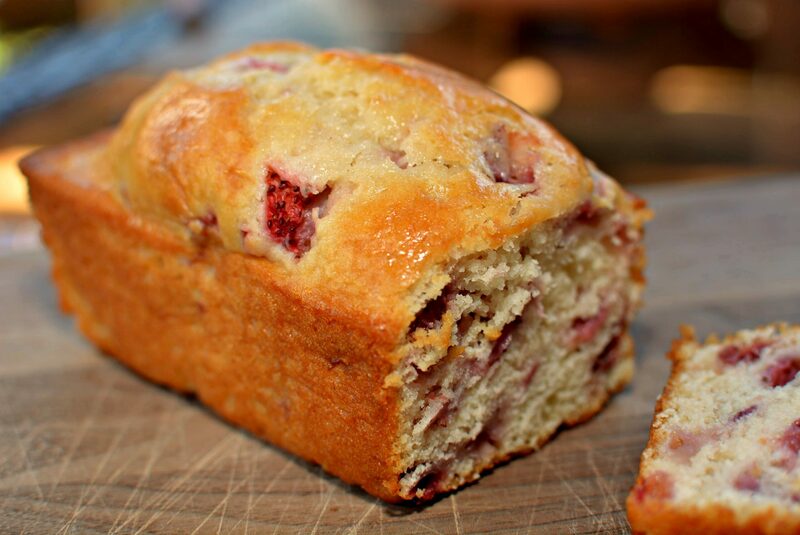 This bread comes together in no time, is packed with juicy berries, and is a family favorite! 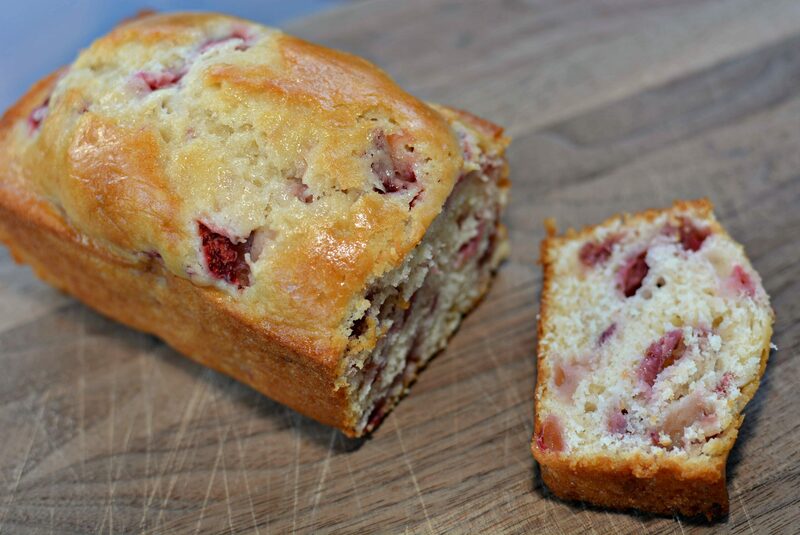 Grab those berries and be sure to try this tasty bread! Last week, my local grocery store had their strawberries on sale for $0.99. Since my son LOVES strawberries on his cereal and in his oatmeal, I bought a few packs to keep in the refrigerator. After a few days, I realized my son had moved on from cereal/oatmeal and had been eating other foods, therefore the berries were still there waiting to be enjoyed. I decided to use some up and make this strawberry bread in mini loaves for the family to enjoy for snacks and breakfast throughout the week! 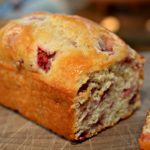 Not only did this bread take no time to prepare, but it was packed with flavor! Each bite had just the right amount of berries in it and my kids and hubby all agreed, it was a new summer favorite! 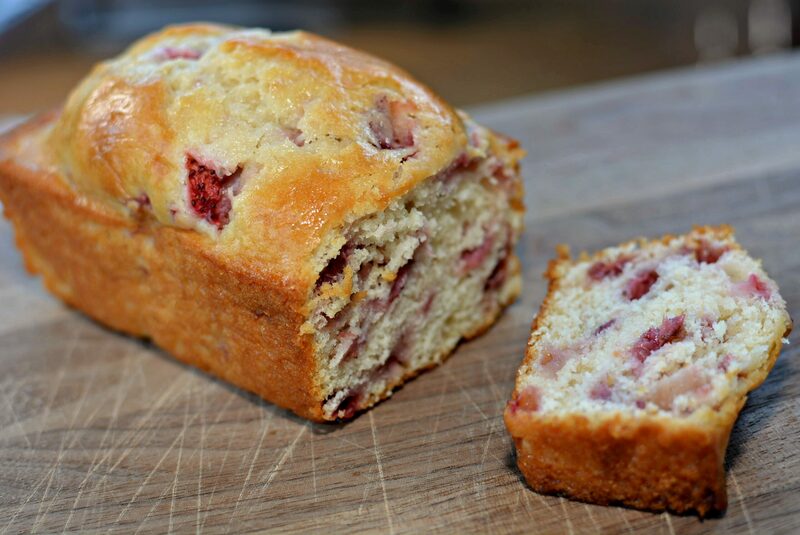 Next time you see strawberries on sale, or if you grow them in your own garden, don’t pass this bread up! It freezes perfectly, makes great snack type food for gatherings and company, or is the perfect thing to bring to a neighbor, friend, or family member as a special treat! This flavorful bread is a great way to use up those summer berries! 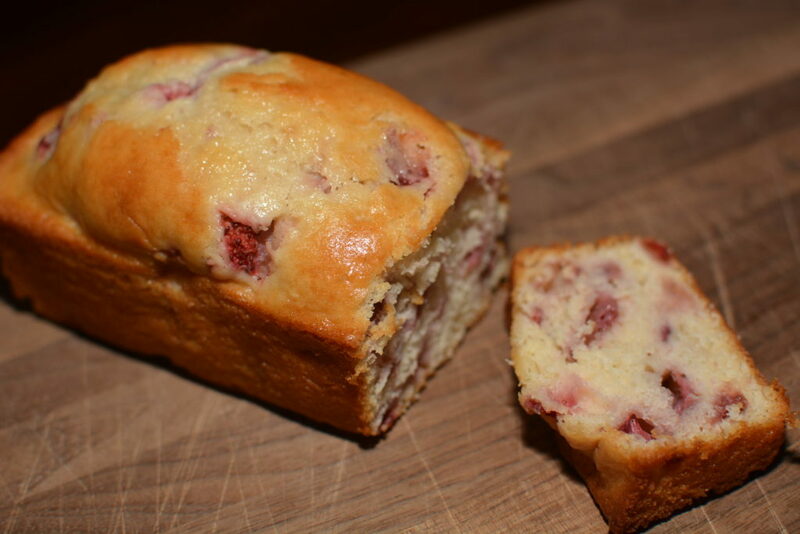 Quick to prepare and a family favorite, this makes a great snack or breakfast treat! In a medium bowl, combine the flour, sugar, baking powder, salt, vegetable oil, milk, egg, and vanilla extract. Grease 4 mini loaf pans, 1 regular loaf pan, or a muffin pan. Pour batter evenly into prepared pan. Place pan in preheated ove, 350 degrees, and bake for about 35 minutes if making mini loaves, 65 minutes if making large loaf, and about 25-30 minutes if making muffins. Remove pan from oven and allow to cool slightly before serving!